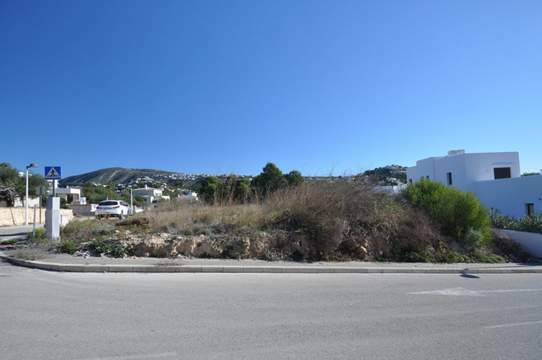 Villa for sale in Moraira. A detached, Moorish style, superbly modernised villa with a very private swimming pool heated by oil and solar, quietly situated in Golden Valley close to Moraira village. Level entry from the road to car port parking and a spacious garage and store room. Steps up to the first floor with a glazed-in, semi-circular naya dining room which enjoys lovely views to the distant mountains and Moraira Valley in the south and west. Sitting room with three large windows to the spectacular view and a very cosy fire. The delightful newly fitted bespoke kitchen with granite work tops and Bosch appliances is open to the living room and the view. Also on this floor are two of the three double bedrooms and two of the superbly appointed shower rooms with faux marble ceramic wall tiles. One of these is an en suite. The third bedroom also with an en suite is found on the ground floor right next to the heated swimming pool. Unusually, also adjacent to the pool, is an enclosed summer kitchen with a dining area and featuring a barbecue with a chimney, a hob and a kitchen sink. Outside, there are well tended landscaped gardens with mature trees and shrubs, the pool terrace with a pergola shaded dining area and an 8 x 4 metre kidney shaped swimming pool. 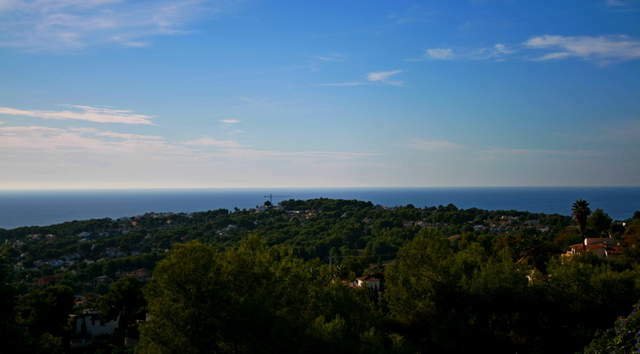 The 30 metre long lower terrace has views down the El Portet valley to the sea Air conditioning in the bedrooms and living room and oil central heating by radiators.New tilt and turn double glazed windows. 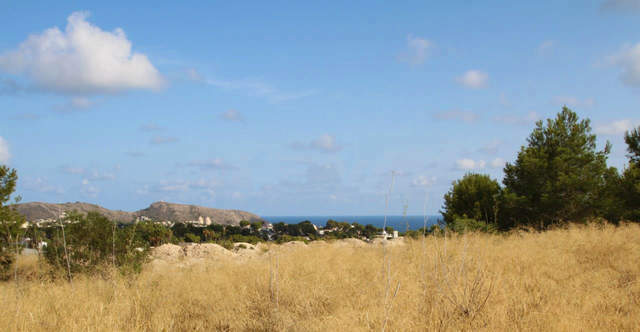 A delightful property just five minutes from Moraira.